Homepage > Writing Samples > Academic Writing Samples > Essay Samples > Definition Essay Samples > What is Good Friday? A holiday observed by many Christian denominations, such as Oriental Orthodox, Eastern Orthodox, Catholic, Anglican, Lutheran, Methodist, and Reformed traditions, Good Friday is a day that commemorates the crucifixion of Jesus Christ and his death, and is the Friday before Easter. There are many traditions associated with this holiday, spanning through various denominations. However, in this essay, we will explore the history and culture of this auspicious but somber day. Though the day has been historically referred to as “good,” meaning “pious,” it is often a time marked with sadness and introspection. Despite misunderstanding, the name is not a variation of “God Friday,” but plainly refers to auspiciousness and righteousness. There are many holidays that contain the adjective “good,” and it refers to days that are holy according to the church (“Who, What, Why: Why Is Good Friday Called Good Friday?”). 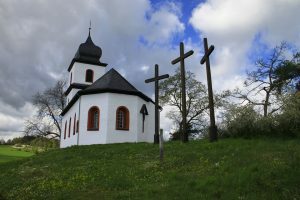 According to Britannica, “From the early days of Christianity, Good Friday was observed as a day of sorrow, penance, and fasting, a characteristic that finds expression in the German word Karfreitag (“Sorrowful Friday”)” (Hillerbrand, Hans J.). However, the question of when to commemorate Jesus’ crucifixion has been hotly debated for centuries. As Britannica states, “Until the 4th century, Jesus’ Last Supper, his death, and his Resurrection were observed in one single commemoration on the evening before Easter. Since then, those three events have been observed separately—Easter, as the commemoration of Jesus’ Resurrection, being considered the pivotal event” (Hillerbrand, Hans J.). With these variances, the way people celebrated the holiday has also been widely different. However, since Good Friday is not particularly secular in nature, it has not become so widespread as Christmas and Easter. Though Good Friday is less intense in the modern era in many ways, back in the 4th century, when the commemoration began, it had a more intense nature. It was first recorded by a Spanish nun named Egeria. According to Slate, “Egeria’s description of Holy Week in Jerusalem also includes the first eyewitness account of the practice of venerating the cross—in her case, the “true cross” recently discovered by St. Helena—on Good Friday. Awed by being present for worship on the spot where Jesus had been crucified, Egeria wrote in painstaking detail to her community back home all that she saw going on in what is now the Church of the Holy Sepulchre” (Breyer, Chloe). These diary entries by Egeria became the foundation how Good Friday celebrations. Fasting and even self-harm became traditions following this initial practice. As mentioned before, the way Christians observe Good Friday has changed over the years according to each denomination. For instance, the Roman Catholic Church does not observe mass on Good Friday, but public worship is conducted. This liturgy consists of reading the Passion narrative, adoring the cross, and Holy Communion (though lay people could only partake in Communion since 1955). In addition, from the 17th century, Catholics adopted the Jesuit practice of the Three Hour Service, which is a meditation on “Seven Last Words on the Cross.” In turn, Eastern Orthodox members observe similar traditions but without Communion on Good Friday. More traditions are included, as according to Britannica, “In the Anglican Communion, The Book of Common Prayer similarly provides for a Good Friday reception of the “reserved sacrament,” the consumption of bread and wine that was consecrated the previous day. The Three Hour Service has become common in North American churches, and a variety of liturgical services are held on Good Friday in other Protestant churches. With the revival of a liturgical emphasis in Protestantism in the second half of the 20th century, a distinct trend of adopting Catholic ritual (no use of the organ in the service, draping of the cross, baring of the altar, etc.) developed” (Hillerbrand, Hans J.). As you can see, the melding and mixing of traditions across Christian denominations have taken place, though there are certain differences between each flavor of practice in regard to Good Friday. Good Friday began to be celebrated in the 4th century, and was first recorded in a diary by a Spanish nun named Egeria. From that early time, from worshipping the cross on the day of the crucifixion of Jesus, it has turned into much more, with fasting, meditation, prayers, Holy Communion, reading of certain Biblical passages, and other liturgy. Despite its worldwide practice, due to its intense religious nature, it has not become as popular to observe as Christmas and Easter, which are more secular in nature. Hillerbrand, Hans J. “Good Friday.” Encyclopædia Britannica, Encyclopædia Britannica, Inc., 28 Feb. 2018, www.britannica.com/topic/Good-Friday. Breyer, Chloe. “How One Woman Impacted the Holy Week Liturgies.” Slate Magazine, Slate, 6 Apr. 2007, slate.com/human-interest/2007/04/how-one-woman-impacted-the-holy-week-liturgies.html. “Who, What, Why: Why Is Good Friday Called Good Friday?” BBC News, BBC, 18 Apr. 2014, www.bbc.com/news/blogs-magazine-monitor-27067136.